Good King Wenceslas – Brass Quintet | McGinty Music, LLC. Good King Wenceslas is an unusual Christmas carol in that its text makes no mention of the Nativity. Instead, the carol recounts an act of beneficence which took place around St. Stephen’s Day (December 26th). 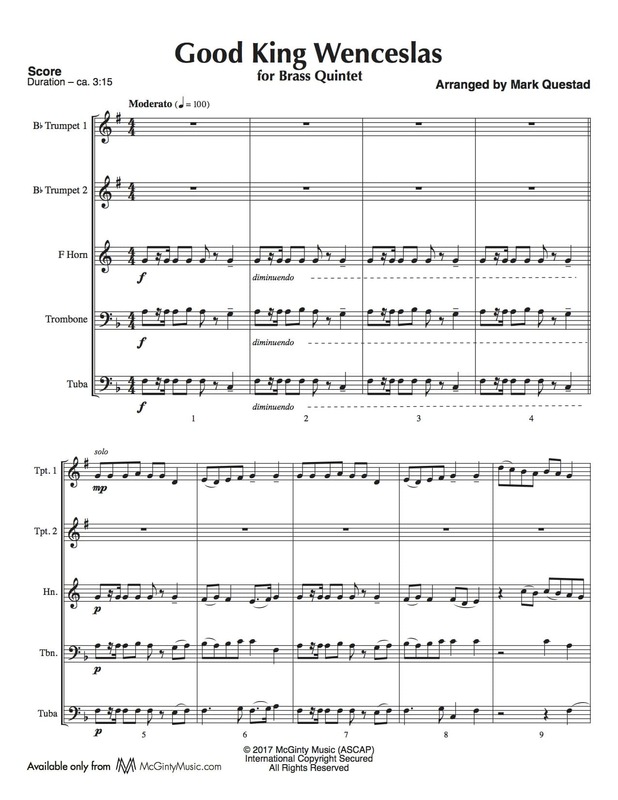 This arrangement for brass quintet musically accompanies the procession of the sainted King and his page on their benevolent journey.